According to Ontario's film commissioner, nine Netflix shows are being produced in Ontario so far this year - up from three for all of last year - in addition to shows headed to other streaming services. Two girls lovingly pet a horse on the nose as a man with a southern U.S. drawl explains that the animal used to work for the police. Then, someone yells out, "Cut!" And the cameras reposition. But the idyllic green farmyard where the action is taking place isn't south of the border. 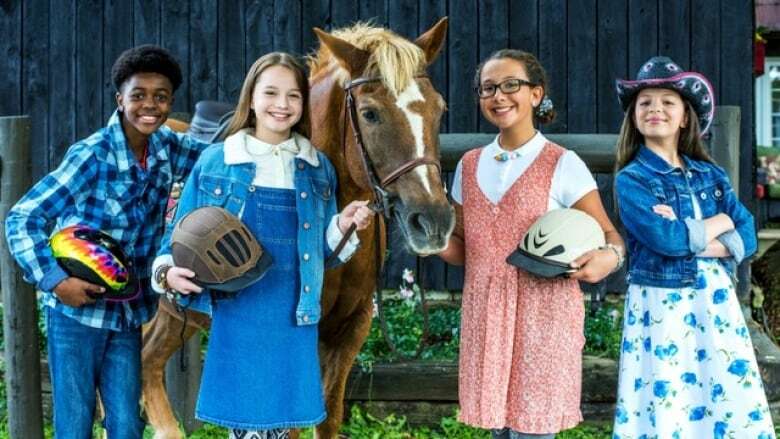 It's near Newmarket, north of Toronto, on the set of Ponysitters Club, a new Netflix show about a ranch where kids rescue and care for animals in need. It just launched last week, but it's already available in more than 100 countries and dubbed into 21 languages. It's a dream come true for the kids doing the acting. 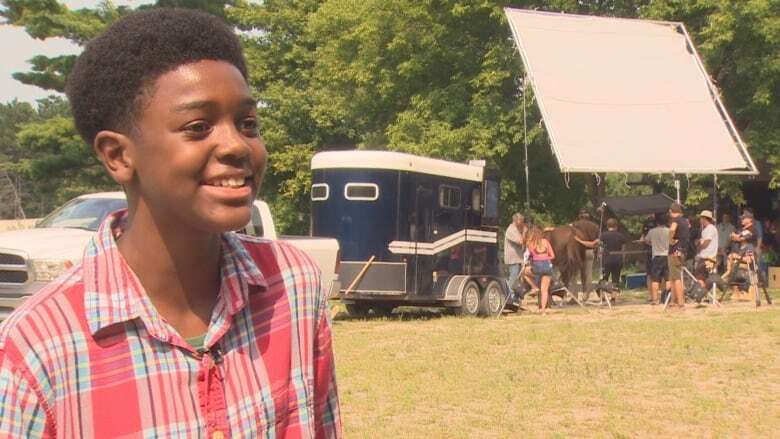 "It's super cool," explains Brampton's Zyon Allen, 12, a first-time actor who's in one of the lead roles. "I watch the episodes in different languages, just to see how it is," he laughs. "At first it's like, 'Oh, it's not me,' but it's so cool." The show is just one example of a jump in film and TV productions in Ontario, in part thanks to Netflix and other streaming services. 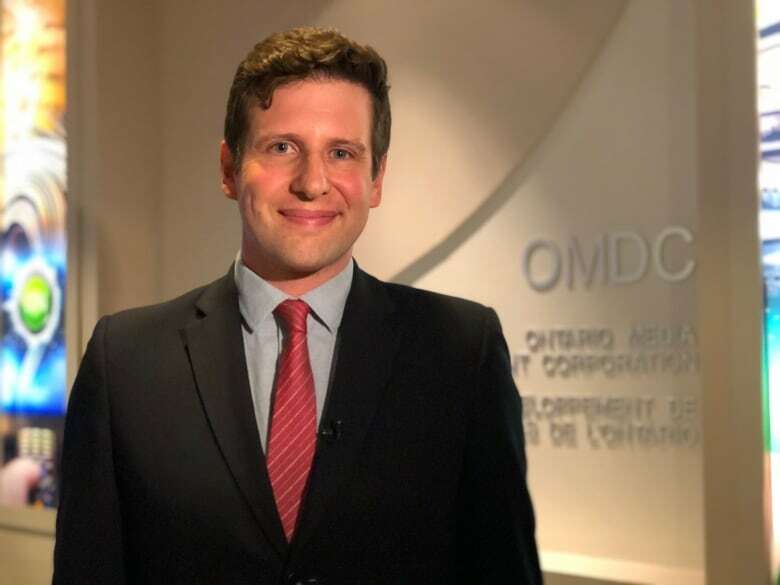 According to Justin Cutler, film commissioner at the Ontario Media Development Corporation, nine Netflix shows are being produced in Ontario so far this year, up from three for all of last year. They're in addition to the shows headed to other streaming services, such as Amazon and Hulu. "We've seen a sharp increase in the number of streaming platforms approaching us," Cutler says. "It's creating jobs, not just in Toronto, but across the entire province." He says the film and TV industry in Ontario now creates 32,000 jobs a year, adding $1.6 billion to the economy. Some of the surge can be explained by Netflix's investment of $500 million in Canadian content, an initiative the streaming service announced in October of last year in partnership with the federal government. But Cutler says there's not only an increase in productions headed directly to streaming, but also for traditional film and TV. Beth Stevenson, the executive producer of Ponysitters Club, has worked in film and television for decades, but says streaming has changed the game with much faster turn-around times and with shows immediately available for markets around the world. "It's so exponential," Stevenson says. "This show launched just a week ago," she says, adding that there's an "incredible flooding of love and praise" from fans in places such as Asia. "It's really quite something," she says. If the show aired on traditional TV networks, she says it would take two or three years to expand into multiple continents and languages. 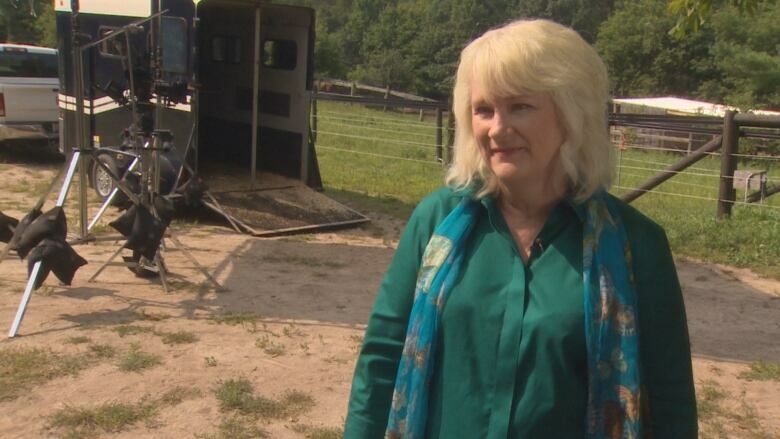 Stevenson, also the owner of Brain Power Studio, uses the same farmyard where the children are filming as the background for shows geared to a more adult audience. She'll begin shooting her ninth Harlequin romance film here soon. It, too, was scooped up by Netflix. Khiyla Aynne, 10, has a role in Ponysitters Club. She's had big acting dreams for a long time, but thought Family Channel is where people might see her and is thrilled that it's come to her so young. "I knew I was going to be on a TV show, but I never thought it was going to be when I was 10 years old, so I'm very grateful." Her co-star Zyon is also grateful that he can do what he loves so close to home. "My sister's like, 'Oh, let's move to Hollywood, we'd get jobs there,'" he says. "But... it's really cool that it's right here."